The magician shows a dice with different colours on each of the six faces, and a box. 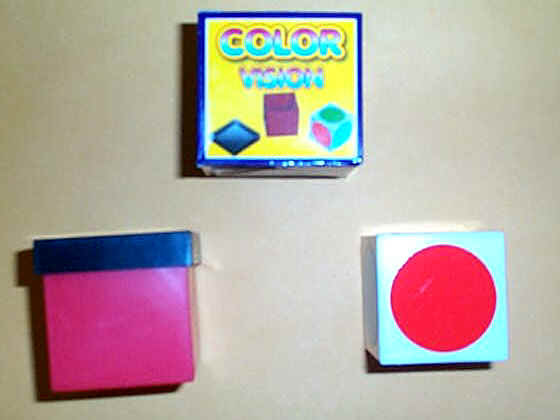 A volunteer puts the dice inside the box with any freely chosen colour on the top and closes the box with the lid. The magician can instantly tell the colour on the top without opening the lid. Everything can be inspected before and after the performance. Comes boxed with complete instructions in a four colour box. Only really suitable for children. Adults may work out how t ..